The climate in the highlands is temperate and tropical along the coast. 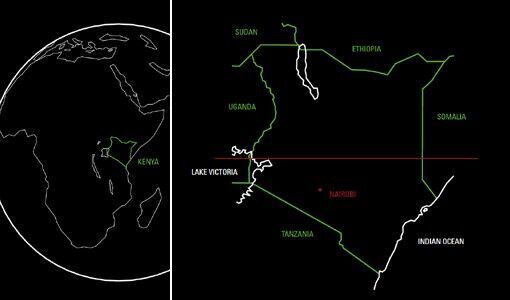 However, as Kenya is a tropical country the four seasons as such do not really exist, pluvial and dry seasons alternate instead. In the highlands in the altitude of 1800m pluvial seasons occur from April to June and again from October to November. The rain usually falls during afternoons and nights. In the highlands the maximum day temperature during July and August is 10°C, however it rises to 26°C in January and February. The humidity lies at about 65%. 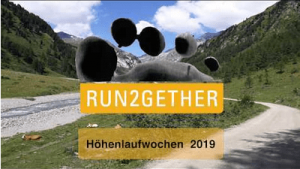 Our run2gether camp is situated in the temperate highlands. Temperatures along the coastline lie between 22°C and 32°C. The average humidity is at about 75%. Most of the rainfall falls in April and June while January and February are dry. Kenya is considered a running wonderland and home to internationally successful long distance runners. Most of those runners belong to the Kalenjin people. However the members of run2gether come from various tribes, this fact confirms the club’s motto to run together. But what is it that makes runners from Kenya so fast and run with such perseverance? How do they mange to run a marathon metre after metre at a high pace seemingly effortlessly? The reasons for that are manifold. Firstly, from an early age on Kenyans run or walk to school, the doctor, the water hole or into the next village. Public transport is expensive and almost nobody owns a car. That is why Kenyans have this positive attitude towards walking and running. Secondly their bodies meet the biomechanical requirements for their running style perfectly. They seem to downright float on air and run effortlessly. So far as it is possible for Europeans, participants of our run2gether running camps have the opportunity to learn this technique of running shoulder to shoulder from Kenyan top athletes. Thirdly Kenyans have a low body weight and thus need less oxygen, which facilitates their endurance capacity. Furthermore their diet is low in fat but high in carbs and they hardly eat meat. The athletes’ diet also consists of refraining from alcohol and sweets. During our running weeks we cook and eat together with the Kenyans and so everybody can learn the secrets of the Kenyan kitchen. Fourthly and maybe most crucially, the Kenyan runners possess a boundless motivation. The running sport often is their only chance at a better life away from poverty. In consequence the runners train very hard, which is later reflected in their successes at competitions. While training with Kenyan runners one often hears them say: “Train hard, win easy!”. Internationally successful athletes such as Sammy Wanchiru, Paul Tergat or Kipchoge Keino foster this motivation. In Conclusion there are many factors that play into the Kenyan runners’ success. Not only does the Kenyans’ mobility significantly base on walking and running, they also have a specific running style and low body weight. Moreover they eat consciously, train hard and maybe most important of all, strive for a better life.